The entire self-improvement industry puts the responsibility for change on us as individuals, producing few if any long-term changes in our health or happiness. 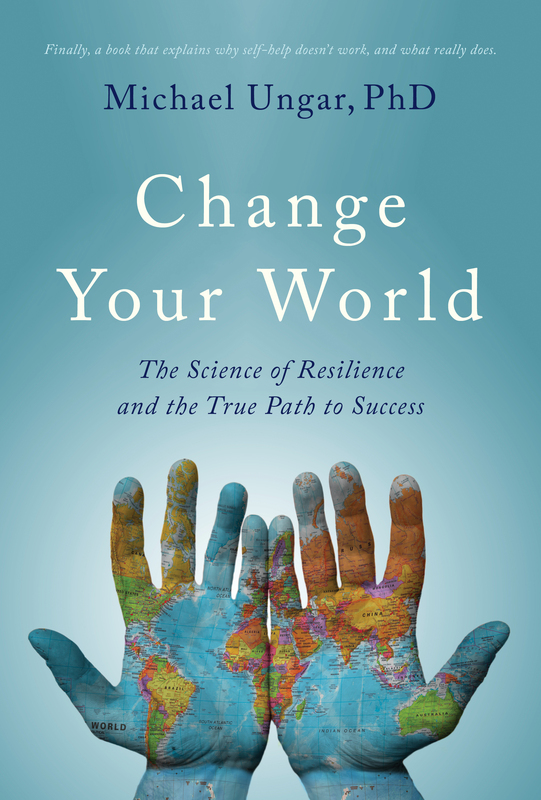 In this mind-bending look at what the science of resilience teaches us about success, Dr. Michael Ungar shows that individual growth depends very little on what we think, feel, or behave. Dr. Ungar is one of the world’s leading experts on thriving through adversity. Delving into the latest research, he demonstrates that the ethic of rugged individualism and the victim-blaming politics that come with it are red herrings in the science of success. He argues that when things get tough and the odds are stacked against us, self-improvement only goes so far. Dr. Ungar explores reals lives, across age and culture, and discovers that the answers lie in the people and the support systems around us. Supportive spouses, caring families, nurturing employers, and effective governments are very often the difference between individual success and failure. The good news is that it is easier to change your environment than it is to change yourself. Indeed, Dr. Ungar has solid evidence that we can influence the world around us in ways that will make us more resilient both at home and on the job. DR. MICHAEL UNGAR is one of the world’s leading experts on resilience, which he defines as living well despite adversity. He is the Canada Research Chair in Child, Family, and Community Resilience, a professor of social work at Dalhousie University, and family therapist. He is the author of fifteen books and a blog for Psychology Today, and he has worked with the World Bank, UNESCO, and the Red Cross.